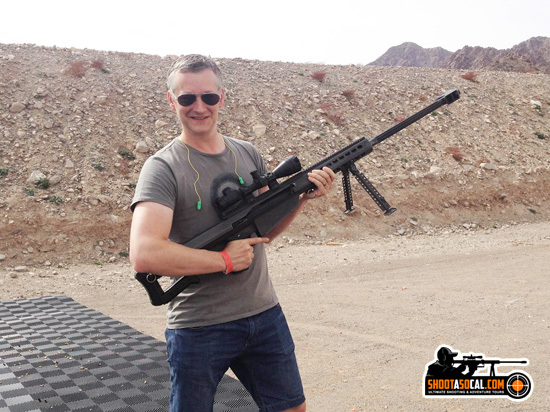 Shooting The Barrett .50 Caliber Sniper Rifle is a World Class Treat! 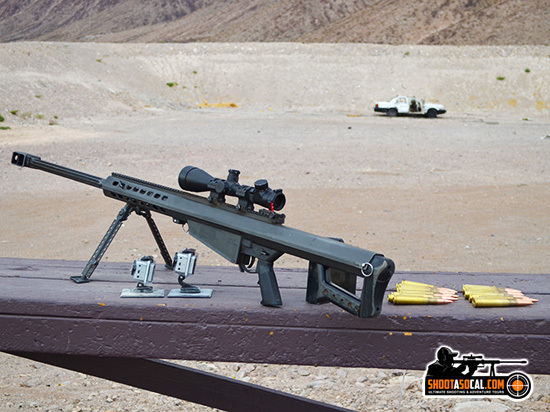 World travelers are given the rare opportunity to use our arsenal to shoot high caliber guns like the 50 Caliber Barrett Sniper Rifle, The M2 or “Deuce” and blow to pieces a wide range of targets in a safe and controlled environment under professional supervision. We provide a wide range of targets like exploding zombies, seasonal melons, automobiles and even ballistic gel torsos that are fun to blow to smitherenes. Our huge collection of firearms include machine guns like AK-47, 50 Cal Desert Eagle, M4, 1919 and an assortment of hand guns, rifles and shotguns to choose from. We also offer customized packages and transportation including helicopters and limousines to the our outdoor shooting range. Our explosive events are great for any group size. We extend our services to every type of event possible like corporate challenges, bachelor parties, marriage functions and even team building activities. 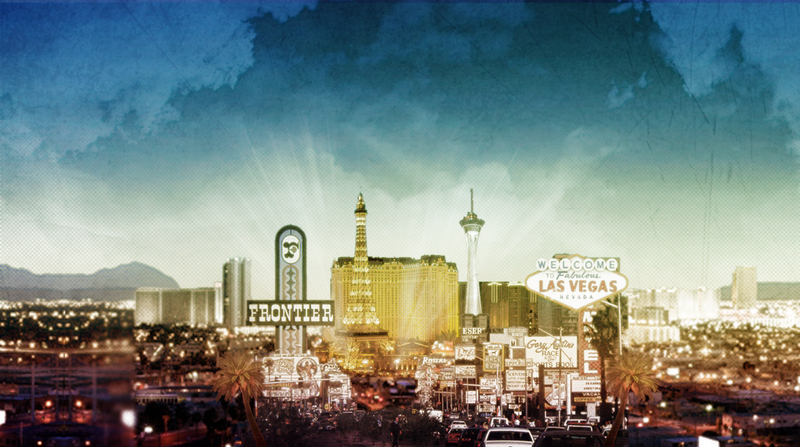 Choose from over 40 different firearms to shoot outdoors during your trip to Las Vegas. 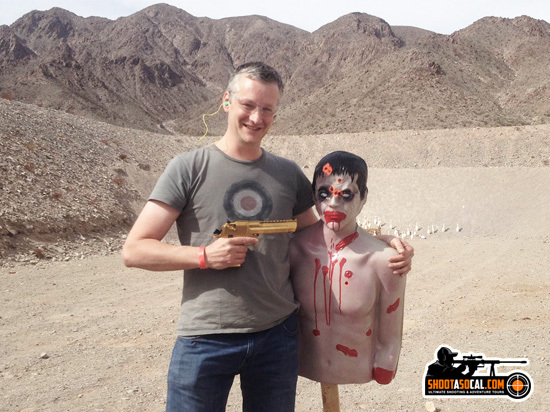 We offer packages of all kinds and sizes to suit your budget and shooting desires. 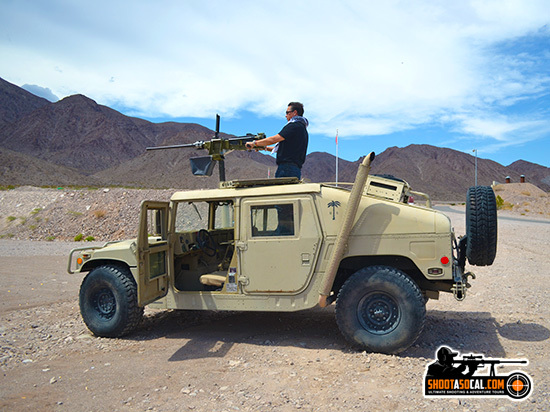 We have shooting packages for everybody – from a wide range of historical artifacts like the Thompson machine gun, first-time shooter, to the latest machine guns used by the NAVY SEALS. There are private outdoor shooting ranges with exclusive shooting options and targets that are sure to take you to extremes of thrill and fascination. This is once in a lifetime experience for International tourists from countries where guns are banned. They are excited to touch, feel and fire a real firearm at an exploding target without special permits or requirements. 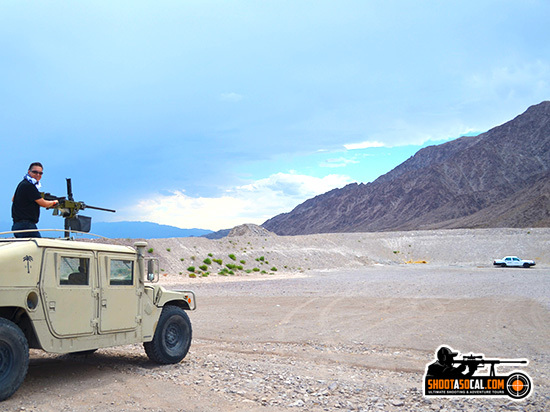 With a compulsive mix of tactical fantasy and thrill of shooting, our guests are typically more interested in moving far away from the usual casino tables of Las Vegas into the wide open desert for shooting and blowing stuff up. BOOK YOUR RESERVATION 24/7 AT YOUR FINGERTIPS! We offer safe and secure online transactions and proudly accept these forms of payment.